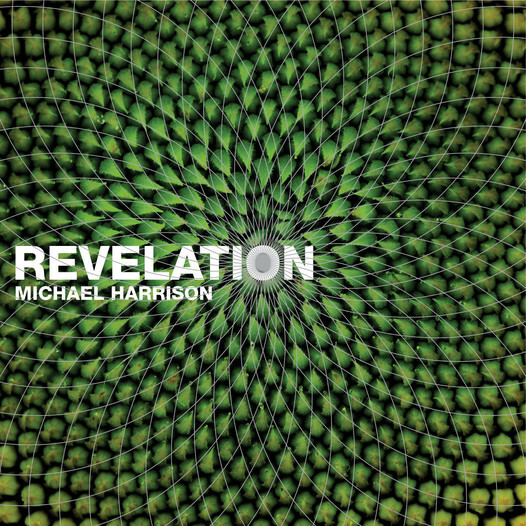 Michael_Harrison_Revelation_Album_2007 Listen and read the program notes here: https://www.youtube.com/watch?v=D4oKzSRs3sA Revelation is a 72-minute work for solo piano in a “just intonation” tuning of my design. The album, released on Bang on a Can’s Cantaloupe Music label, was selected by The New York Times, The Boston Globe and TimeOut New York as one of the “Best Classical Recordings of 2007. “Michael Harrison's 'Revelation: Music in Pure Intonation' is probably the most brilliant and original extended composition for solo piano since the early works of Frederic Rzewski three decades ago (and no, I’m not forgetting Elliott Carter).” – Pulitzer Prize-winning music critic, Tim Page Composer/pianist Michael Harrison occupies a unique place in the world of music. His works are a blend of European musical traditions and those of North Indian classical music, forging an entirely new approach to composition through tunings and methodologies that employ and extend the ancient concept of “just intonation.” The quality of his work and personal vision has earned him the label of, in the words of composer Philip Glass, an "American maverick.” As a recipient of a Guggenheim Fellowship (2018), Harrison will be creating a new work for Alarm Will Sound. He is currently working on a commission for Del Sol Quartet. Time Loops, his album with cellist Maya Beiser, on Bang on a Can’s Cantaloupe Music label, was selected in NPR’s Top 10 Classical Albums of 2012. His evening-length work for just intonation piano, Revelation: Music in Pure Intonation (Cantaloupe), was chosen by The New York Times, The Boston Globe and TimeOut New York as one of the Best Classical Recordings of 2007. Just Constellations, commissioned by Grammy-winning vocal octet, Roomful of Teeth, was premiered at MASS MoCA and the Park Avenue Armory, and recorded in The TANK, a 65’ water tank in rural Colorado with a 40-second reverb. The group’s performance was in the New Yorker’s “Ten Notable Performances of 2017,” and the subject of a feature article in which Alex Ross wrote, “Harrison’s glacially beautiful 2015 piece ‘Just Constellations’ made the deepest connection to the place: as luminous chords accumulated, it was difficult to tell which pitches were coming from live singers and which were coming out of the walls.” The New York Times wrote, “… particularly arresting, a celestial soundscape of gorgeous harmonies… the notes rang out like a jubilantly microtonal choir of bells.” Just Ancient Loops, Harrison’s collaboration with filmmaker Bill Morrison and cellist Maya Beiser, has received over 40 performances, including a 4-month looping-program at the Museum of Modern Art, Brooklyn Academy of Music’s Next Wave Festival, the Louvre, Bang on a Can marathon, Ojai Music Festival, Big Ears Festival, M.I.T., Strings of Autumn in Prague, at Sundance and other film festivals throughout the world. Nautilus wrote, “If there really is a music of the spheres, the sound of a fundamental harmony in the universe, it has to be Just Ancient Loops, a 2012 work by composer Michael Harrison. Played on the cello, and complemented by a film created from archival clips and a recreation of Jupiter’s moons in orbit, Just Ancient Loops… propels viewers through time and space, landing them in the present, elated.” Harrison’s professional engagements have included numerous international performances, including next season at Muziekgebouw, plus Just Ancient Loops in a new version written for the Amsterdam Cello Octet to be played in the Netherlands. Associations include Bang on a Can, Kronos Quartet, JACK Quartet, Contemporaneous, Young People’s Chorus of NYC, Stuttgart Ballet, media artist Loris Greaud (Centre Pompidou), architect David Gersten (RISD Museum), as well as his mentors, composers La Monte Young and Terry Riley. His works have also been performed at the Metropolitan Museum of Art, the United Nations, Carnegie’s Zankel Hall, Spoleto Festival USA, WNYC New Sounds Live at Merkin Concert Hall, National Sawdust, Monday Morning Concerts in Vancouver, The Newman Center for the Performing Arts, The Kitchen, Other Minds Festival, Klavier Festival Ruhr, Quattro Pianoforti in Rome, American Academy in Rome, and the Havana Contemporary Music Festival. As La Monte Young’s protégé, Harrison executed the specialized tunings and scores for Young's 6½-hour work, The Well-Tuned Piano, eventually becoming the only other person to perform this work. This led him to create the Harmonic Piano, an extensively modified grand piano capable of playing 24 notes per octave. Along with Young and Terry Riley, Harrison was a disciple of Indian vocalist Pandit Pran Nath, starting in 1979, and for the past 20 years, he has continued studying and performing Indian classical music as a disciple of Ustad Mashkoor Ali Khan. He is co-founder and president of the American Academy of Indian Classical Music. Harrison has been on the faculty at Manhattan School of Music, Rhode Island School of Design, Arts Letters & Numbers, and Bang on a Can Summer Institute. Recent awards include New Music USA, American Composers Forum Competition and Residency in Cuba, Aaron Copland Recording Grant, Classical Recording Foundation Award, University of Oregon Distinguished Alumnus Award, and the IBLA Fdn. Grand Prize. He has received fellowships and residencies from the American Academy in Rome, Dia Art Fdn., Yaddo, Ucross Fdn., Djerassi, Millay Colony, Bogliasco Fdn., La Napoule Art Fdn., Virginia Center for the Creative Arts, Marble House Project, I-Park Fdn., MELA Fdn., and the MacDowell Colony, where he has served on the Fellows Executive Committee since 2013. His works have been recorded on New World Records, New Albion Records, Innova Recordings, Important Records, Miasmah Recordings, Fortuna Records, Windham Hill Records, and Cantaloupe Music.